Rainy season leave makeup dull & boring so opt for water resistant products and these tried& tested lipwears as great additions for this season. The rains are pouring around this time but it doesn't mean makeup should be boring. Apart from investing in and making sure to use water proof products from primer to foundation, eyeshadow, lipsticks etc, the rainy season shouldn't signify a season of bland makeup look. When wearing makeup this season, with lipstick dare to try a pop of colour in the consistency that works best for you i.e matte, creamy, clear, thick and so on. The purpose of a vibrant lipwear around this time is to give a pop of colour to the makeup especially when you decide on lightweight coverage/light makeup look all over the face. These two tried and tested lipwears are great colours with matte and creamy consistencies to wear around this time. 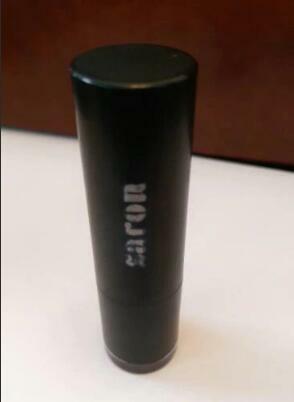 The Zaron Matte lipstick line is brilliant but if you love a fierce, clean, chocolatey and vampy matte lipstick. The lipwear glides on easily and doesn't break up in pieces or end up drying the lips, it start out soft but it's matte and finished tidy and doesn't run, because It finishes matte and doesn't run its long lasting (stays for endless hours) and gives enough 'oomph' to tidy any makeup look. 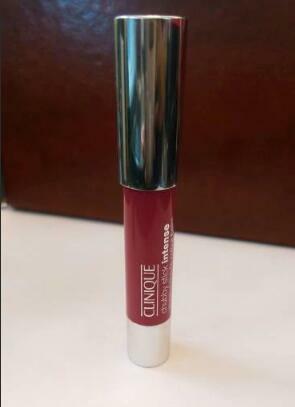 Clinique chubby stick lipwears are hot as they come easy to apply and in vibrant hues too. They are not too light or too opaque, they have just the right consistency. If you love creamy, shiny and nourishing lipwear then this will work perfectly for you. They are presented in a 'fat pen' like tube that's rolled to dispense product at any time. It finishes bright, shiny pink and paired with a flawless makeup look, your lips will not be lacklustre or without a burst of colour which is what (burst of colour) you need to power beautifully through the rainy season.